Virtual Private Servers (VPS) Hosting provides the right different between shared web hosting server and dedicated server hosting. AfeesHost Linux VPS Hosting is completely customizable and can be upgraded any time as your site grows. Full root access allows you total control, as well as the ability to install advanced software and completely customize your hosting environment. It truly is dedicated functionality without the expense. 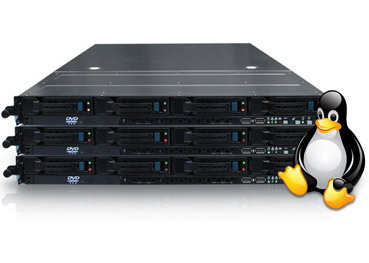 AfeesHost’s Linux VPS Hosting is an ideal bridge between shared hosting and dedicated servers. VPS plans can be completely customized to match your specific hosting needs and upgraded anytime as your site grows. It’s a great way to start small but still have the ability to scale up very quickly. With full root access, you’re able to install advanced software and completely customize virtually anything as if your VPS were a dedicated server without the cost of one. Our Linux OS flavor-CentOS 6 virtual private servers provide ideal virtual environments to the business class. These resilient VPS Solutions backed by Dual Hex-Core Intel Xeon processors are the perfect choice for enterprises due to their reduced CPU usage overheads and outstanding redundancy. Our FAS3240 RAID-DP based VPS architecture is resistant to double disk failures & data loss . These sturdy drives with 72 GB RAM and 250 GB mirrored disks promise accelerated storage efficiency, and amazing redundancy without performance bottlenecks. The KSAL (kernel service abstraction layer) in our Parallels Virtuozzo 4.7 virtualization platform distinguishes us from others in the market. Apart from providing an unparalleled virtual emulation, it safeguards crucial applications from the faults belonging to other individual virtual private servers.